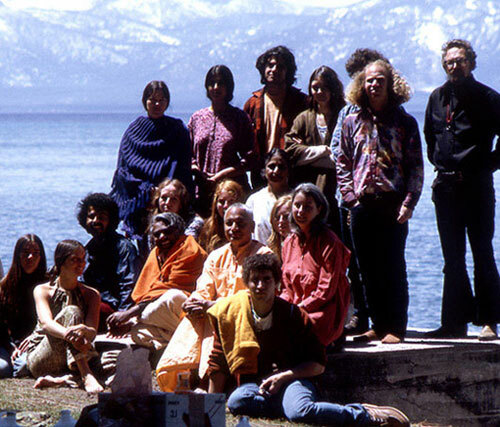 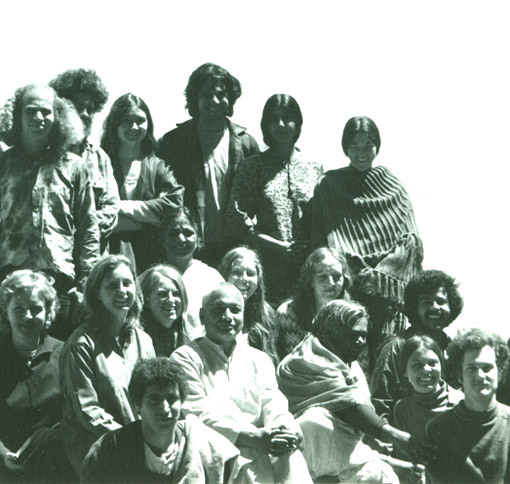 Happy yoga teachers Swami Venkatesananda and Swami Vishnu and much younger yoga teachers including Ganga White, Richard Levy, and Radha Speer (back row) at Lake Tahoe on route from a yoga retreat (advance) at Vrindavan Yoga Farm in Northern California. 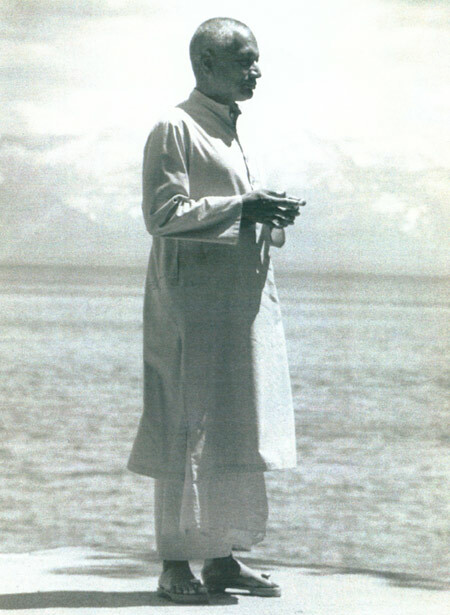 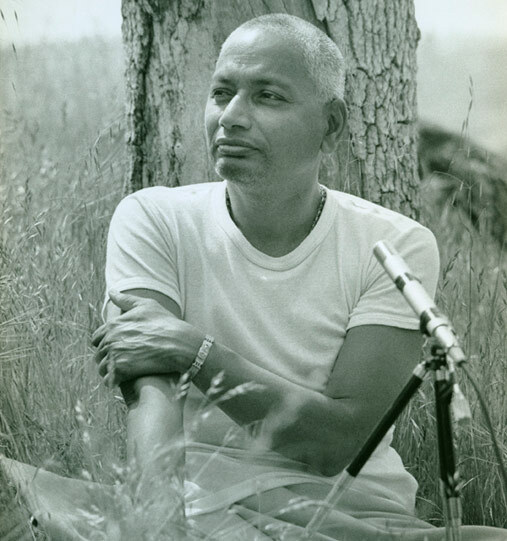 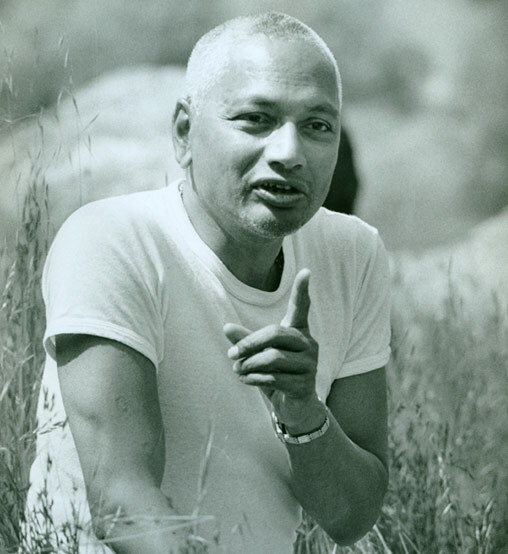 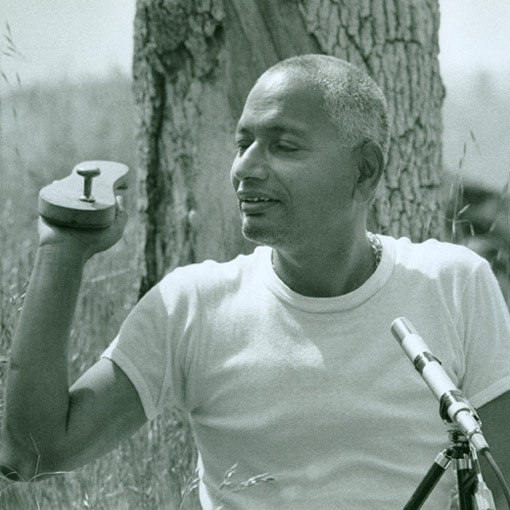 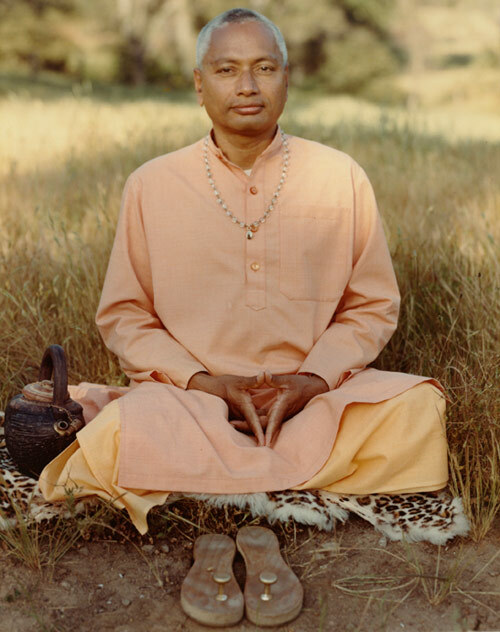 This well known photo of Swami Venkatesananda, taken at a yoga retreat (advance) in Grass Valley, California at Swami Vishnu's Yoga Farm is perhaps best known as the photograph on the cover of Swami Venkatesananda's book entitled "Vigilance." 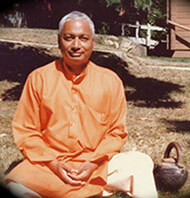 It's one of many engaging photos of Swami Venkatesananda taken by Ganga White, some of which appear here in this album.